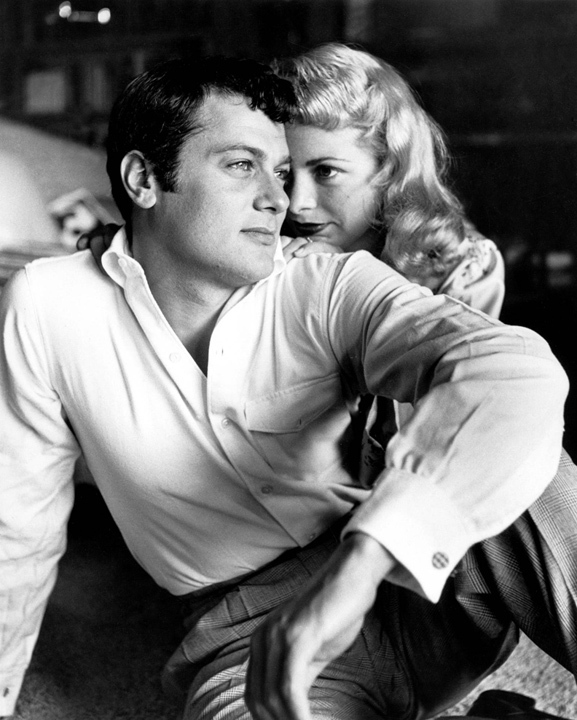 Love him or hate him, you gotta admit one thing: Tony Curtis is one hell of a survivor. Still making waves in the press over 60 years after his film debut, the octogenarian is as active–and vocal–as ever. GQ magazine has done a colorful piece (to say the least) on the living legend in their June issue which I felt was rather appropriate to post today, his 85th birthday. They’re beautiful. I like the boxes, too. I love [Joseph] Cornell. Oh, I was a good friend of Cornell’s. I knew him right at the beginning in the ’50s, I met him in New York. I used to keep things in cigar boxes, like chewing gum, skate keys, and marbles, photographs. And I put them away, and look at them, a year later, and was stunned by how nicely everything fit. And I ran across his work, and then I made a point of finding him. He was an odd, interesting man. He lived in his boxes. I don’t live in mine, but I love them.